Will The Electronic Payments M&A Boom Continue - Or Is The Bubble Set To Burst? Will The Electronic Payments M&A Boom Continue – Or Is The Bubble Set To Burst? Deal making in the global payments industry has reached record heights, with 2018 the biggest year ever in terms of M&A activity within the sector. In the first six months alone, there were 102 transactions worth a total of $45bn, according to data from Dealogic – surpassing 2017’s full-year figure of $32.9bn. M&A activity has been driven by a transformation in how consumers pay for products, including the shift to online and electronic payments; the rise of e-commerce, where complex cross-border payments demands have fuelled the need for providers with a range of capabilities; the need for viable payment solutions catered to unbanked populations; and increased interest in fintech investments from private equity investors. Last year, a clutch of significant deals were completed, with a number of key players standing out as particularly active. Industry giant PayPal made four acquisitions in five weeks between May and June, including swooping on Swedish group iZettle in a $2.2bn deal; and French business Worldline made steady progress in snapping up its competitors throughout the year, including a $2.7bn acquisition of Switzerland-based operator SIX Group AG. 2019 is off to a great start in itself, with Fiserv recently announcing the purchase of payments processor First Data in an all-stock deal for $22bn, making it one of the largest ever transactions within the payments sector; a sign of continuing consolidation in the space. All this is the result of the payments sector's rapid evolution. Changing consumer habits and an exceptional rise in e-commerce have been major factors behind the industry’s growth, causing a strain within traditional channels and driving an increase in the popularity of new fintech solutions. Whilst consumers become increasingly more comfortable with non-traditional banking partners, innovative disruptors are rapidly gaining market share. 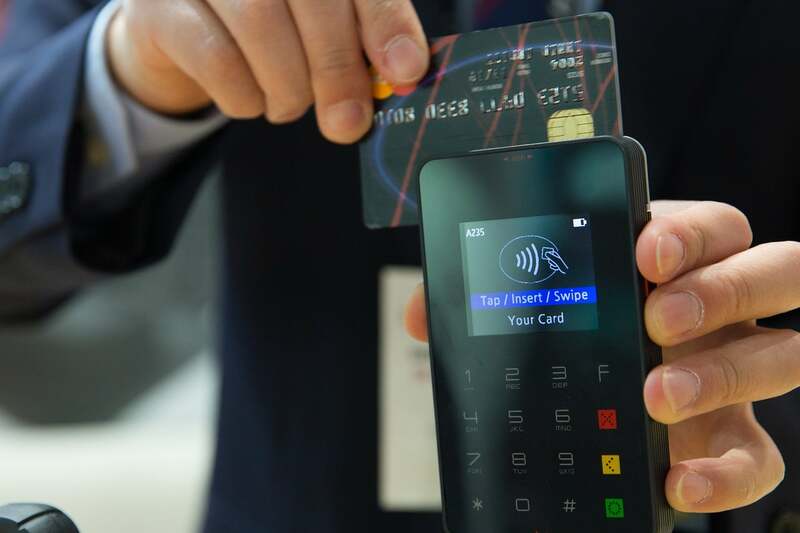 New technologies, such as contactless payments, have driven innovation further – to the point where cash is no longer the most popular form of payment in the UK. This trend has been mirrored in Europe and beyond: only 19% of payments in Sweden are made in cash, and India has been pushing a demonetisation policy since 2016. This move away from cash provides a ripe opportunity for M&A activity as companies look to expand and consolidate into areas where cashless is becoming the new norm. It’s not just changing consumer demand that has been fuelling this boom, however. Payments companies have become particularly attractive assets for private equity (PE) investors due to their high cash flow and asset-light business models, further bolstering M&A activity. For example, PE firm Advent International has been involved in no less than 31 payments transactions over the past few years, whilst Ant Financial (the owner of Alipay) successfully completed the largest single fundraising round ever with a record $14bn investment last year from a consortium of PE investors. Despite this momentum, sceptics have questioned how long such a wave of activity can last, with fears that growing valuations and investor excitement in the sector could cause a looming bubble similar to the dotcom era. The concern is that as ‘hype’ dies down, some payments companies could be exposed as lacking fundamentals such as consistent revenue streams or finished products. That said, the sector’s resilience is underpinned by robust fundamentals overall and its track record thus far means comparisons with the dotcom bubble are likely unfounded. With Brexit on the horizon, concerns have also been raised within the UK regarding PSD2 and the impact of the UK’s departure from the EU. After all, the European Commission’s PSD2 initiative is meant to have a significant impact on the EEA by boosting compatibility, competition and innovation across the region. Leaving the EU (and EEA) with no deal could therefore create issues for the UK’s finance industry, making it incompatible with EEA countries. These potential worries should not be exaggerated however, as the UK’s Open Banking initiative could in theory replace PSD2 post-Brexit and have a limited impact in reality. Though innovation does lead to both regulatory and technical complexities, the sector has shown an ability to deliver sustained growth, which should continue to underpin the recent upturn in M&A. Even in developed countries, such as Germany and Italy, the penetration of electronic payments is still very low, so there is significant growth to come as credit/debit cards and electronic payments gain wider adoption, while the growth prospects in many emerging economies are even stronger. The payments evolution is paving the way to creating smoother financial interaction between consumers and businesses, a growing desire in an ever-changing world. While there are always threats to an M&A boom, the payments sector is only just coming of age, so activity should continue to flourish. The need for emerging technologies and digital payments is clear and against such a favourable backdrop, the rise in payments M&A looks set to be an enduring trend over the rest of this year. Author: Jon EdirmanasingheJon Edirmanasinghe is a Partner at Cavendish Corporate Finance, a leading M&A boutique, who have strong expertise in payments businesses.